Imagine brewers so dedicated that they build a malthouse to get traditional malt for their farmhouse ale. Imagine 50 of these malthouses within radius of mere 20 km. That is Stjørdal, near Trondheim in Norway. 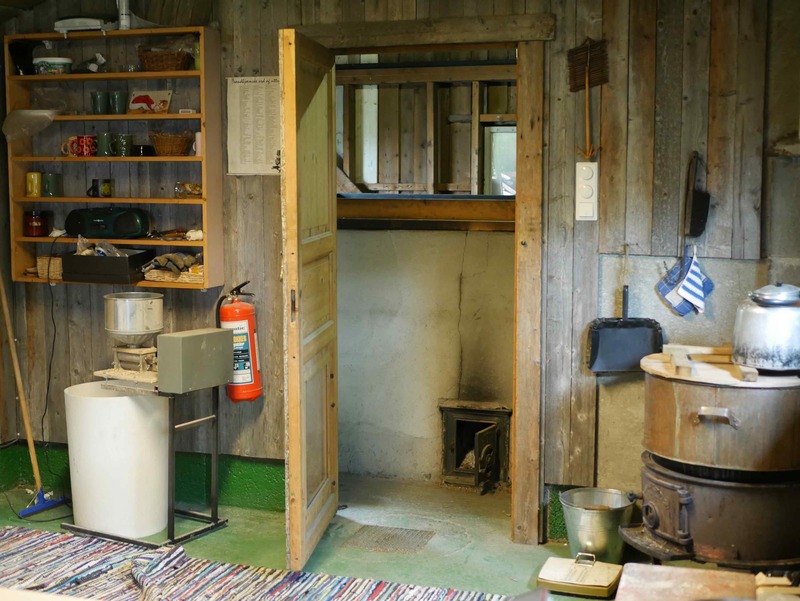 This small municipality is packed with homebrewers making traditional Norwegian farmhouse ale maltøl, or strictly speaking its local variant stjørdalsøl. The local home-made alderwood smoked malt is so characterful that a genuine Stjørdalsøl cannot be made without it. In June 2017 I visited five of Stjørdal’s malthouses and this is a story about what I saw and heard. These kind of alive farmhouse malting traditions are very rare in Europe, and even in Norway Stjørdal is the only surviving concentration. 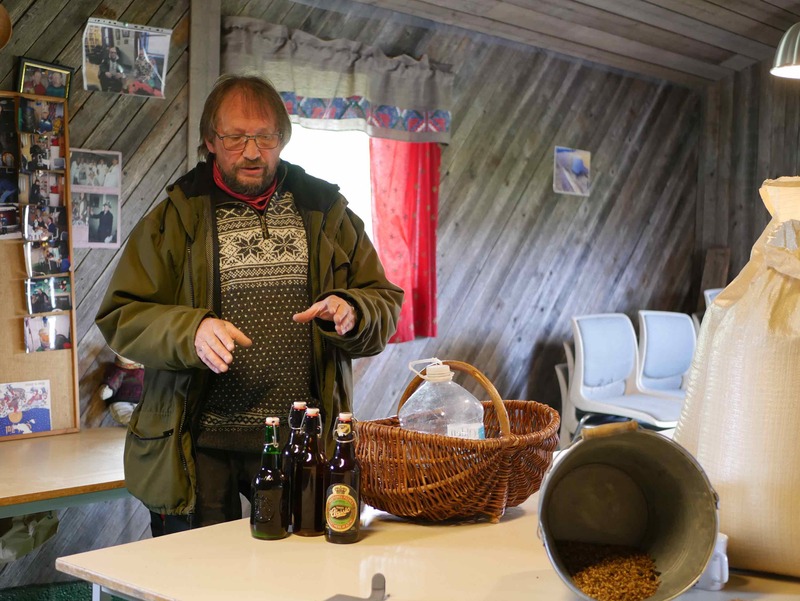 Elsewhere in Norway few singular farmhouse brewers produce their own malt. According to the locals, malting and brewing is a long-standing tradition in Stjørdal because the area has been good for growing barley and the people have had surplus grain for brewing. As often with folk crafts, the origin of the tradition is lost in the mists of history. This kind of archaic malthouses could have easily been constructed in the Iron Age, or even earlier. As I explained in History of Farmhouse Ales, the Vikings had to have an effective malting method, something similar to Stjørdal’s malthouses, in order to produce enough ale for their feasts. Therefore, I’m convinced that these Stjørdal’s farmhouse ales give a glimpse what ale was like in the Viking Age. The tradition is based on domestic farmhouse brewing. From the five visited malthouses three were run by homebrewers: Alstadberg Tradisjonsbryggeri, Søndergård and Dånnåbakken. Some of these sell small amount of malt to traditional brewers, but even if they are not selling anything, the malthouses have names, just like sport teams. A second forthcoming story will concentrate on commercial maltster-brewers of Granås Gård and Klostergården, who have scaled up the tradition into a commercial scale. Norwegian beer writer Lars Garshol has also written about Alstadberg, Klostergården, Granås Gård and Dånnåbakken in his Larsblog. For more information, I suggest reading Garshol’s story Dånnåbakken såinnhuslag, and following the links therein. Roar Sandodden in the front of his Alstadberg, the malthouse. Størdal’s malthouses are often fairly simple because of the fire risk. Roar’s såinnhus is unusually elaborate, because building log houses runs in his family. 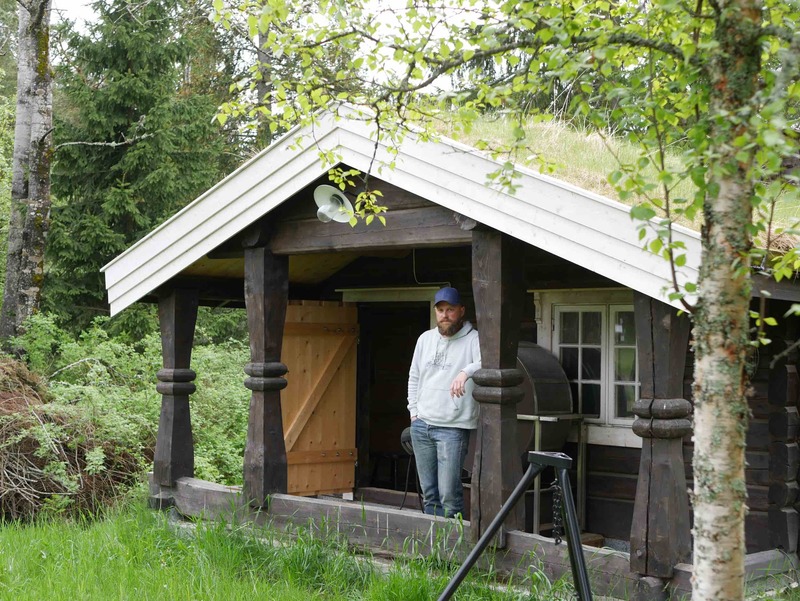 Somehow my stories from Norway always seem to begin with a turf-roofed house. Stjørdal style malthouse is called såinnhus, and usually it is operated by Såinnhuslag, the malting team with typically of 5–10 members. 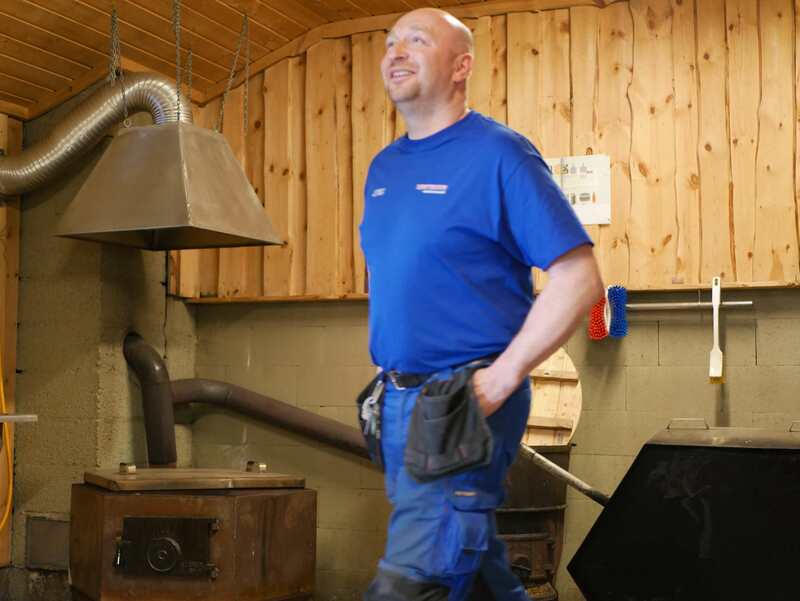 The heart of såinnhus is a room dedicated for a drying kiln, and often there is a second room for brewing and team parties. Typical malting batch size is 150–200 kg, which is shared among the members. In most malthouses, the team members brew individually. Jørund Geving in the såinnhus of his malting team, Søndergård. The team has ten members and every Christmas the whole team including spouses gather in the såinnhus for celebration. The hall of the Søndergård såinnhus includes a brewing setup. The door leads to the kiln room. The kiln of the såinnhus of Søndergård was built in 1991. The kiln room has just enough space to fit the kiln and allow mixing of the grain. This kiln typically produces 160 kg of malt at one time. Jørund Geving has gathered information about the såinnhuses in Stjørdal, and he reckons that there are now 52 or 53 såinnhuses (2017). Therefore, there must be hundreds of brewers within a radius of 20 km. Christmas is the most important season for brewing, and Jørund has estimated that in Stjørdal 35 000 liters of ale is made for Yule. That makes 1.5 liters per capita, including the underage. I find this amount of dedication incredible. Closest thing in Finland are the hunting teams which have build their own hunting lodges. Unfortunately those lodges aren’t used for brewing, although some teams celebrate the hunt with sahti. All the malthouses I talked with obtained their barley from local farmers. Some used an old barley variety Domen traditional to Norway. Also Norwegian varieties of Tirill and Brage were mentioned, as well as Fairytale which is fairly common today in the Nordics. All maltsters agreed that the variety has an effect on the malting process and the flavor of ales, but this effect cannot be explained as easily as with hop or grape varieties. The malting process in Stjørdal follows the ages old path : first the grains are steeped in water, and then the wet grains are allowed to germinate, generating the enzymes needed later in brewing to convert grain starches into sugars. Finally the maltster halts the process by drying the grains. The steeping and germination phases in Stjørdal are fairly similar to traditional malting in general. For example the whole malting process at Alstadberg Såinnhus malting takes around ten days: two days for steeping, five days for germination, two days for kilning, and one for day removing rootlets. The procedure and equipment are fairly similar across the malthouses. In Stjørdal grains are usually germinated in big movable sievel-like frames. Only Klostergården germinated on the floor similar to the traditional British maltsters. Stjørdal style malt kiln is very simple in design. 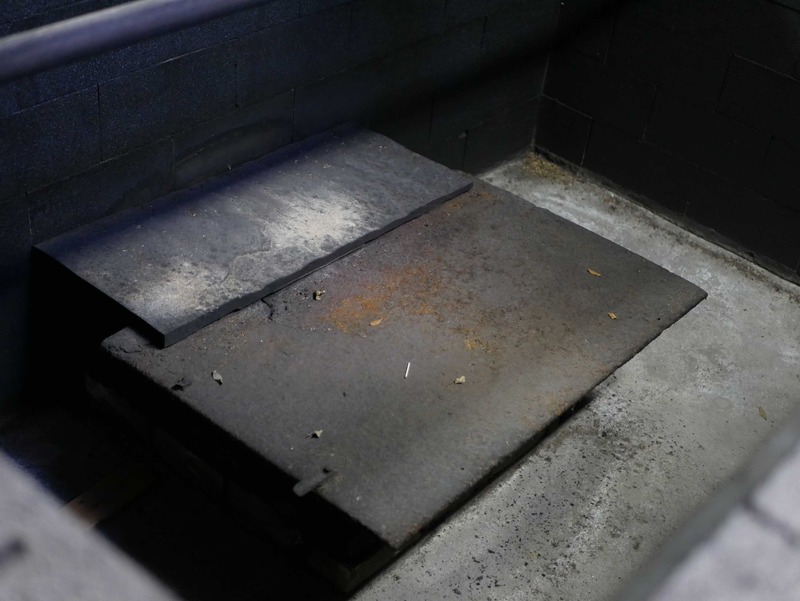 It is a rectangular oven where malt bed rests on top, and underneath fire generates heat and air flow, which dries the malt. This simplicity comes from a tried-and-true folk wisdom and these malt kilns of Stjørdal tend to be very similar, for a good reason. These houses burn down easily, if build or operated by inexperienced. The kiln of Alstadberg. When designing his såinnhus, Roar Sandodden visited several maltings in Stjørdal. The dimensions of this kiln are typical for the area, as well as the batch size, 200 kg of malt. The grains rest on a wooden planks on top of the kiln. The planks are perforated with thousands of holes. 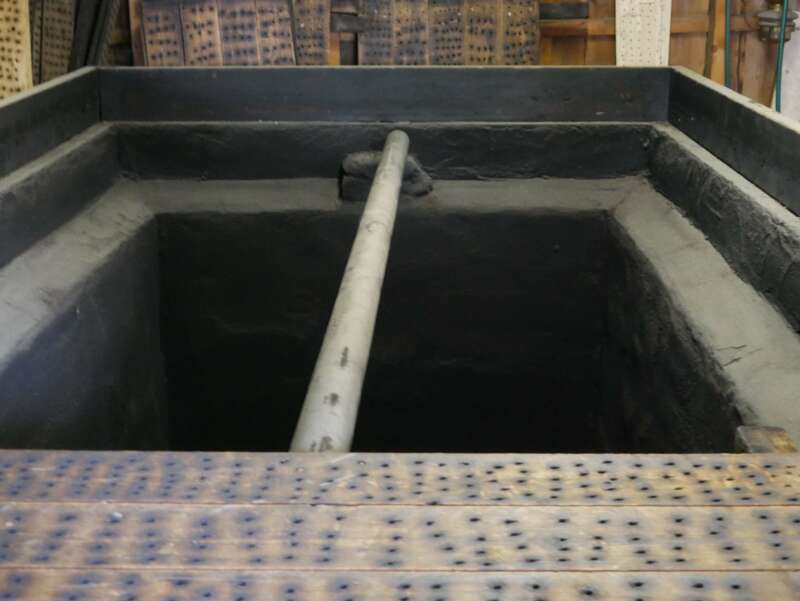 The fire is lit on the bottom of the kiln, and above the fire a large stone or metal slab absorbs the direct flames and spreads the heat moderately. Proper height of the kiln is very important – otherwise the planks will catch fire. The top of the malt kiln at the såinnhus of Dånnåbakken. The top is covered with perforated planks (now only one is shown) on which the grains rest. Also Dånnåbakken produces 200 kg in one batch. The bottom of the kiln at Dånnåbakken. Fire is lit below the metal slab which absorbs the sparkles and diffuses the flow. A care in burning the wood is important as well. Roar Sandodden explained that drying is more about airflow than heat. He heats with small sticks of wood which burn with a big flame and draw lots of air in. He dries the malt with two heating cycles: burn one batch of wood in the evening, and then leave the malthouse. In the morning turn the malt over, and then second heating. During the heating phase Roar never leaves the kiln for more than a minute. His drying phase takes 18 hours, but some dry up to 30 hours. 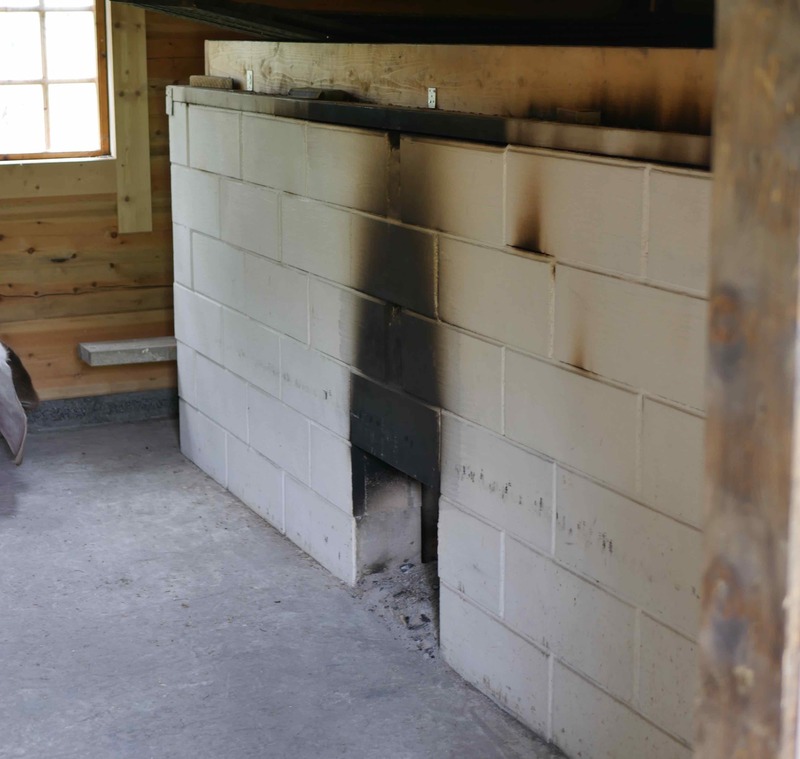 Throughout Stjørdal, the kiln is heated only with alderwood, which produces softer smoke flavor than most woods. The thickness of the malt bed is usually only 15–20 cm. Thicker layer would also work, but that would require longer drying time and a lot more mixing. Ronny Hoseth showed us around his Dånnåbakken såinhus. On the left side of him you can see a wood-fired fireplace that fits the hexagonal boil kettle shown on the right. When all the drying smoke goes through the grains, the malt and ale is of course smoky. Although alderwood produces much softer smoke than say oak or birch, stjørdalsøl is immensely smoky. Some brewers blend in small amount of commercial malts, but that does not necessarily cut down the smokiness. Roar said that it can be difficult to notice the difference between 60 % and 100 % of the farmhouse malt – the palate gets saturated with smoke anyway. Although the smokiness was intense, I was surprised how drinkable the ale was. These ales had fair amount on sweetness to counterbalance intense smokiness. To me the aroma and flavor of alderwood smoke is very pleasant and distinctive. I would recognize stjørdalsøl from a meter away, jus from the scent. The color of these ales, which mostly comes from the farmhouse malt, seem to be invariably reddish brown, not very far from classic smoked beer, Schlenkerla Märzen. Malt made at Søndergård såinnhus was the darkest malt I saw. It is clearly darker than munich malt, and visually it reminds me of 40–50 EBC aromatic malt. The variation in the color is also evident. The brewing process of stjørdalsøl is quite variable. Many boil the wort with small amount of hops while some also make raw ale. 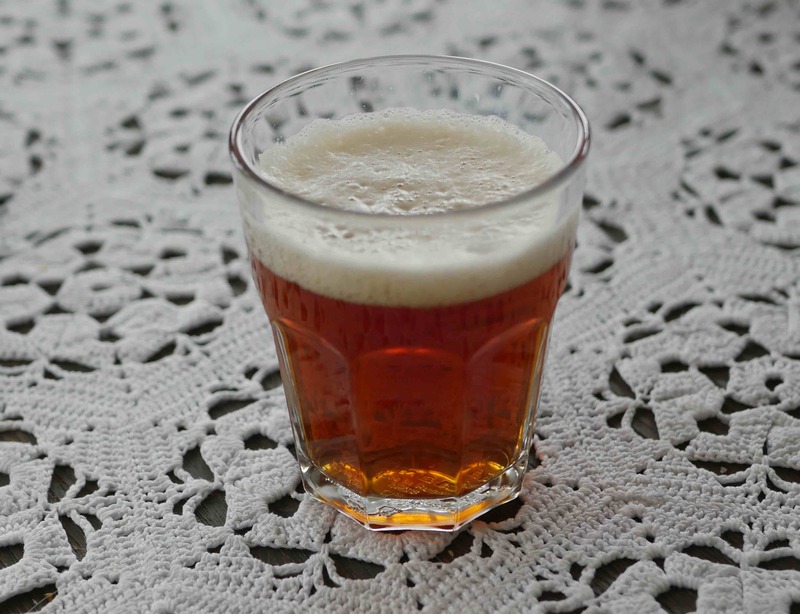 Brews are usually seasoned with a touch of juniper branches and hops, but they can be hardly tasted. In the ales I tastes the fermentation character varied from elegant malt-forward ales to rustic. Baker’s yeast is traditional, but some use also ale yeast. The traditional farmhouse yeast kveik has disappeared from Stjørdal, but some brewers have begun using kveik from other parts of Norway. Roar Sandodden’s stjørdalsøl. He boils the wort for one hour like many others in the area, and hence the ale is very bright. It was was served carbonated from a keg. Roar likes his ale clean and malty, and that it was, a sweet ale with abundance of smoke and malt. I returned home with two sacks of Stjørdal’s malt, and so far I have brewed one test batch. In fact, Jørund Geving’s brewing process was fairly similar to my sahti recipe, and with few modifications it turned into Stjørdalsøl. I can rightly say that it tasted authentic – in this case the malt makes the ale.